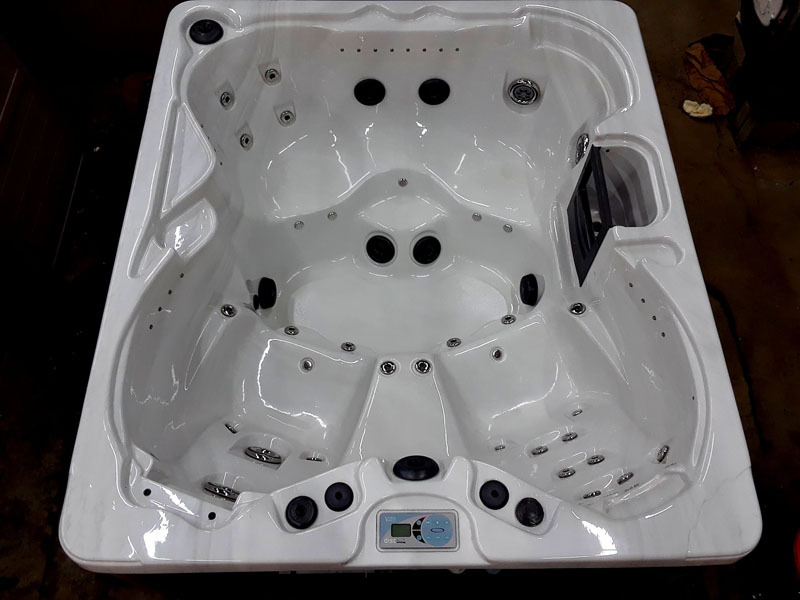 Dimensions: 92" x 92" x 35"
Dimensions: 79" x 76" x 35"
This Spacious Caldera Martinique has a beautiful Sierra Shell that will look great with the Brand New Maintenance Free Cabinet in a color that you get to choose. 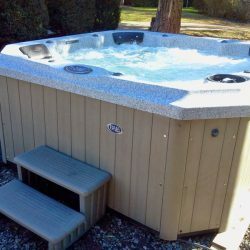 Dimensions: 89" x 76" x 33.5"
Roomy and Affordable, this Classic Soaker will let you soak your cares away ... 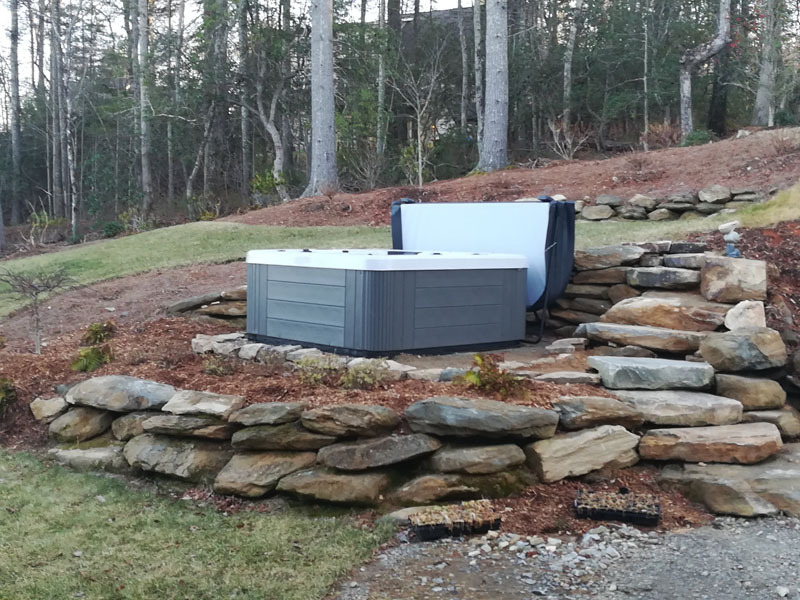 Your choice of Maintenance Free Cabinet color and Cover color. 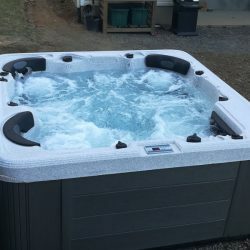 Dimensions: 81" x 81" x 36"
This Hot Tub is Small but packs a punch. 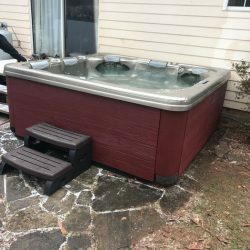 This ALPS Spa is a very powerful little hot tub. 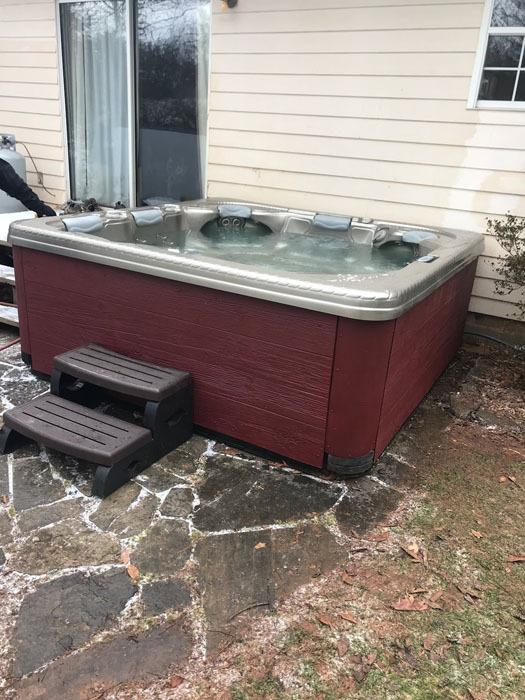 With a 5 Horsepower Pump and 200 gallons that means each of these jets is quite forceful. 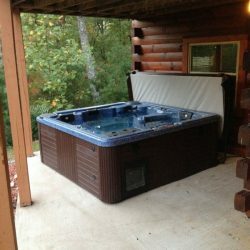 Dimensions: 82.75" x 59" x 30"
This Dynasty Lounger features 5 seats plus 1 lounger. 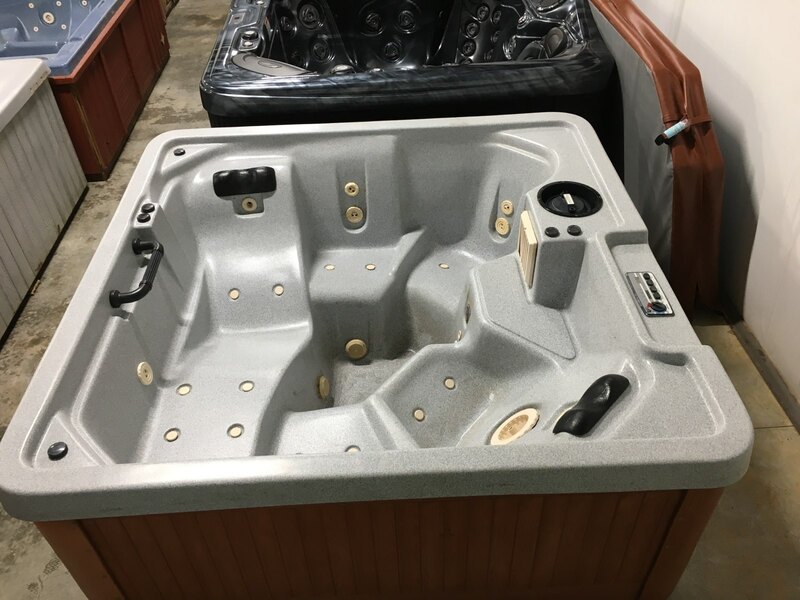 This Classic Soaker comes in Gray Granite with a new Cover and Maintenance Free Cabinet in your choice of color. 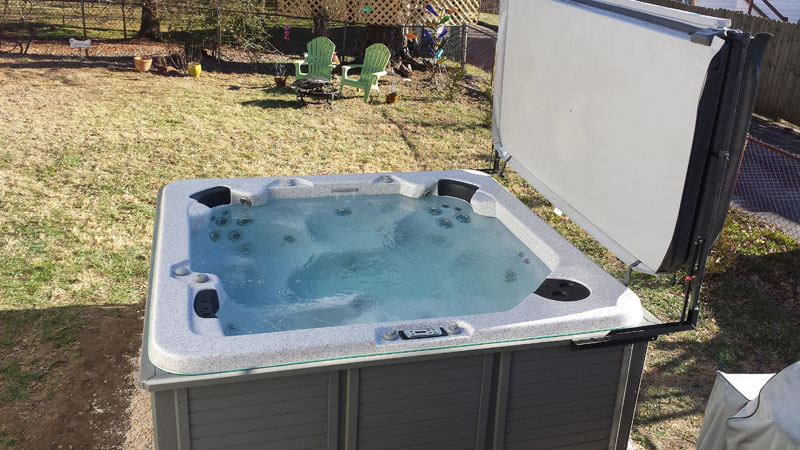 DimensionsL 82" x 82" x 36"
This Blue Ridge by Jacuzzi has 1 Lounger and 4 Seats. 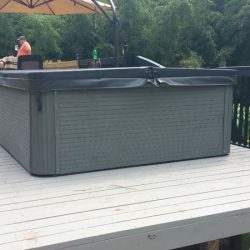 It comes with a New Cabinet in your choice of Stain Color and a New Cover in Your Choice of Color. 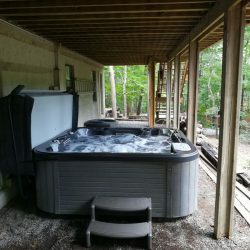 Dimensions: 80" x 84" x 34"
Couples Corner ... 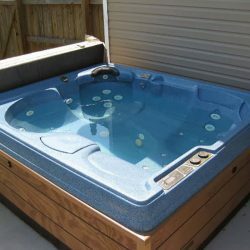 This two person Vita Spa has a tremendous amount of power. 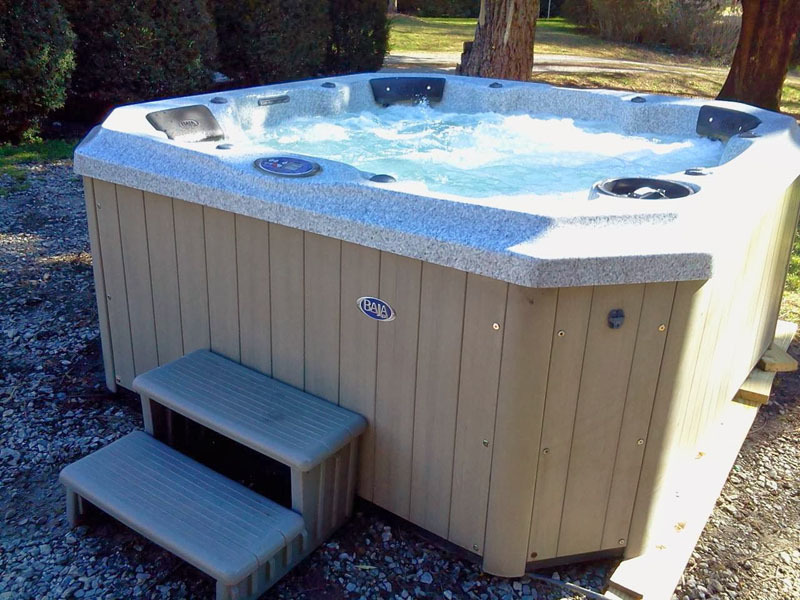 With its Sandstone shell and Synthetic Cabinet, this classy corner unit is the great for therapy and relaxation. 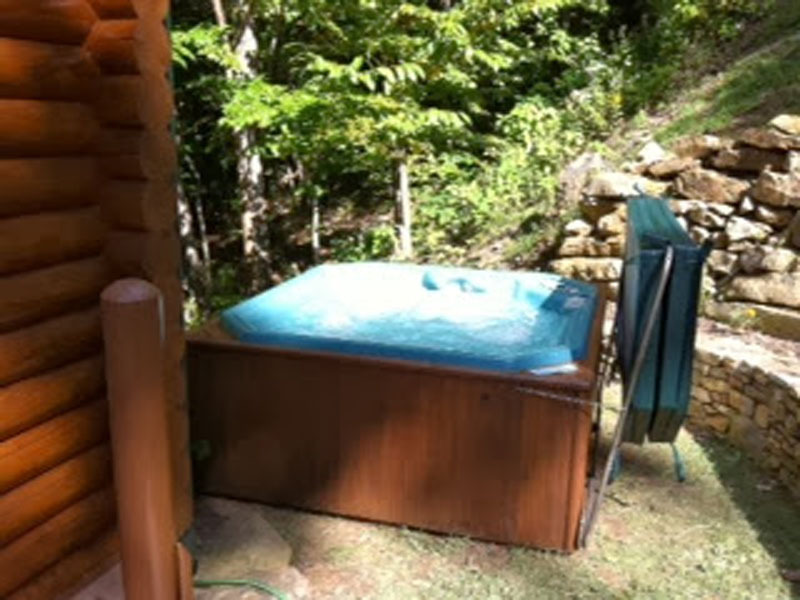 Dimensions: 78" x 66.5" x 30"
We are aware that the photo does not show the complete hot tub. 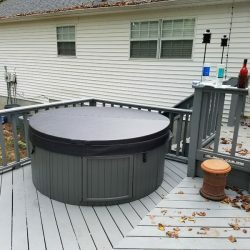 We will replace it with a more complete photo soon. 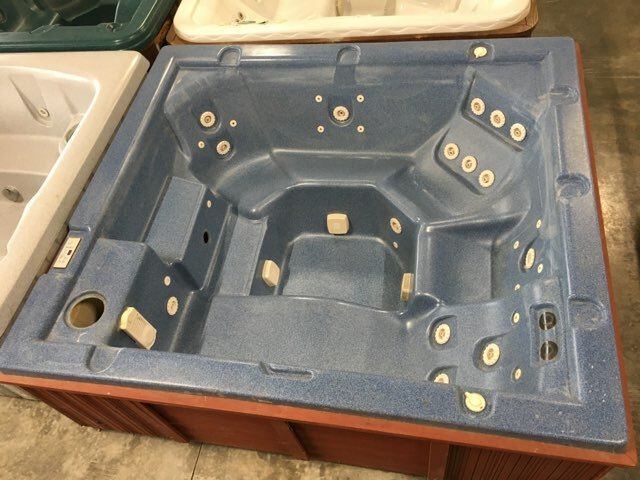 This Deep Blue Shell will complement any Synthetic Cabinet and Cover combination (and don't forget that the buyer chooses the color scheme). 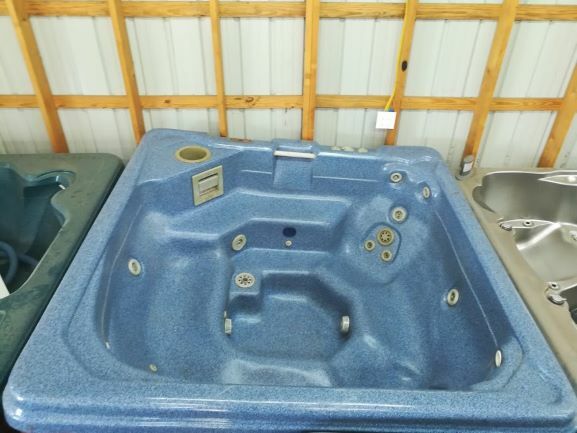 Dimensions: 84" x 92" x 34"
This spacious hot tub has room for 7 and the Hunter Green shell will look so rich complimented by any one of our Maintenance Free Cabinets. 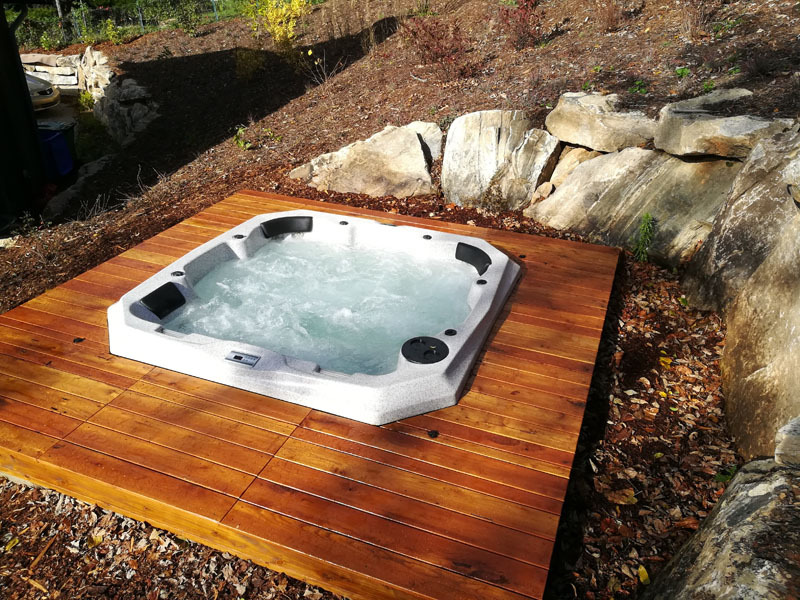 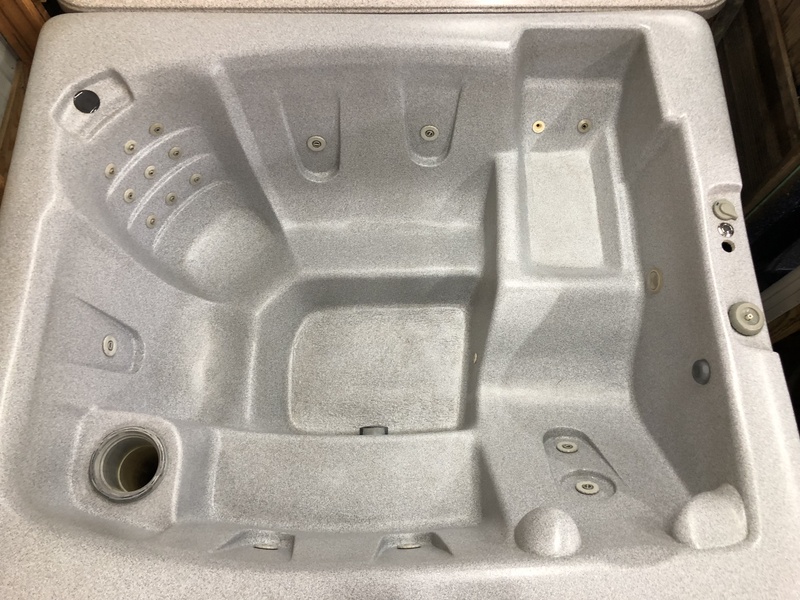 Dimensions: 92" x 92" x 35.5"
This hot tub seats 5 and is Easily Maintened due to the Rolled Mold construction which is a seamless design from cabinet to shell. 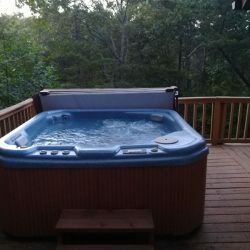 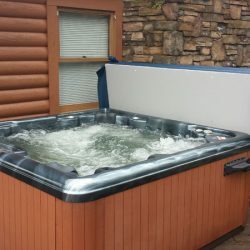 Dimensions: 84" x 71" x 33"
This hot tub is very similar to the one listed above, just slightly smaller. 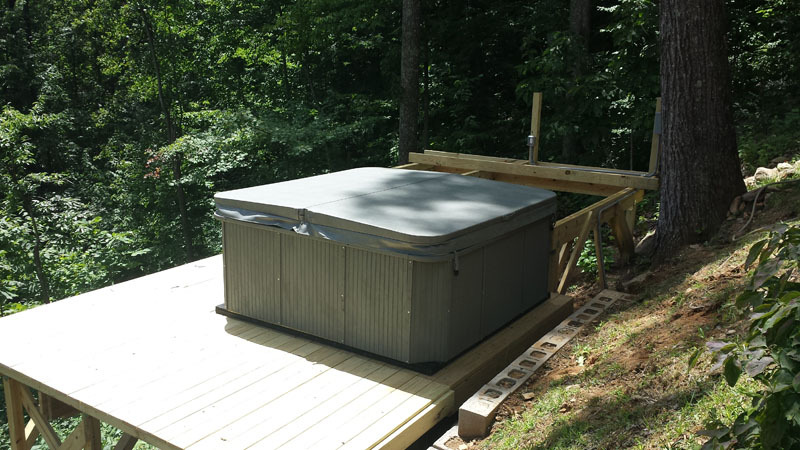 At 7' x 7' this unit has 5 seats plus 1 lounger. 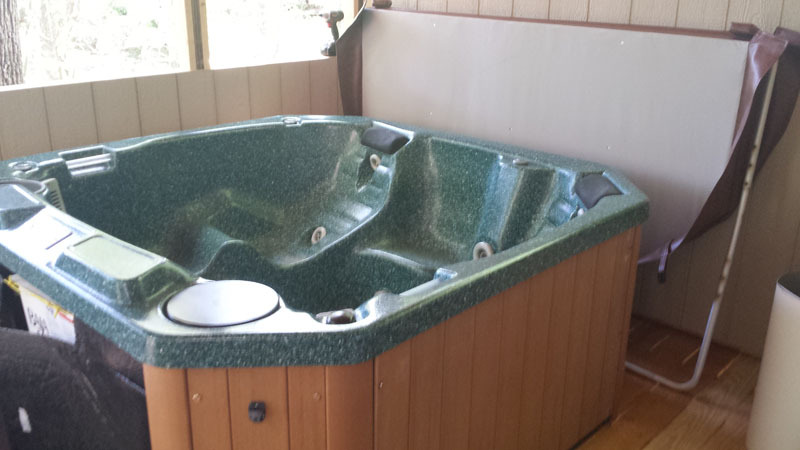 And the Hunter Green Shell looks so rich paired with our Brand New Maintenance Free Cabinet. 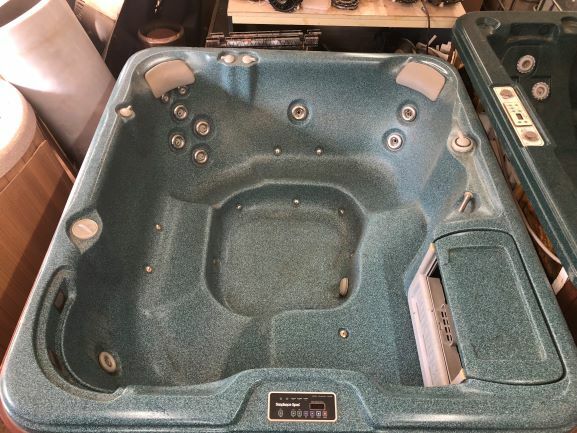 Dimensions: 83" x 83" x 35"
Sundance Spa in Teal with Open Seating and Your Choice of Color in both the Brand New Maintenance Free Cabinet and Brand New Custom Cover. 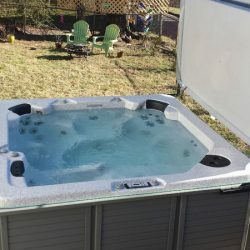 Dimensions: 86" x 76" x 32.5"
This Dream Maker 2 Person Triangular Unit has 15 jets and seats 2 comfortably. 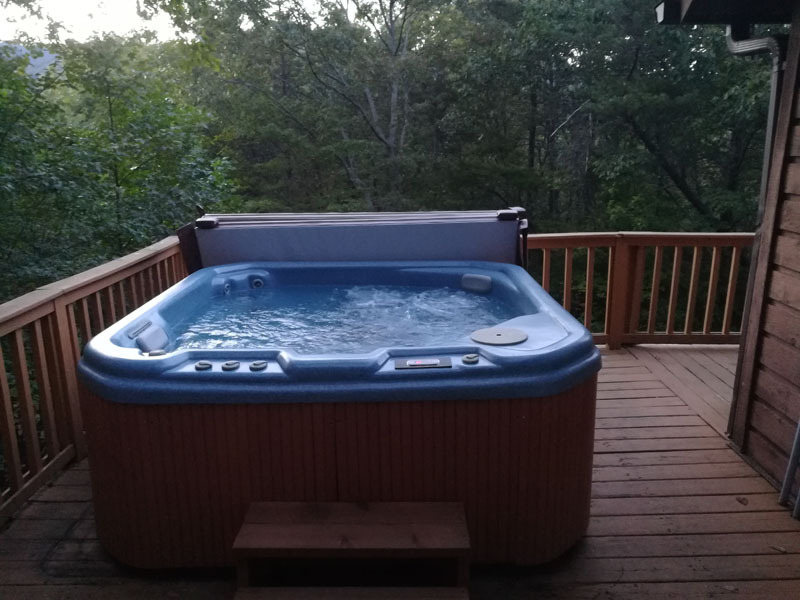 Stock Photo shown on the left - actual photo will be uploaded soon. 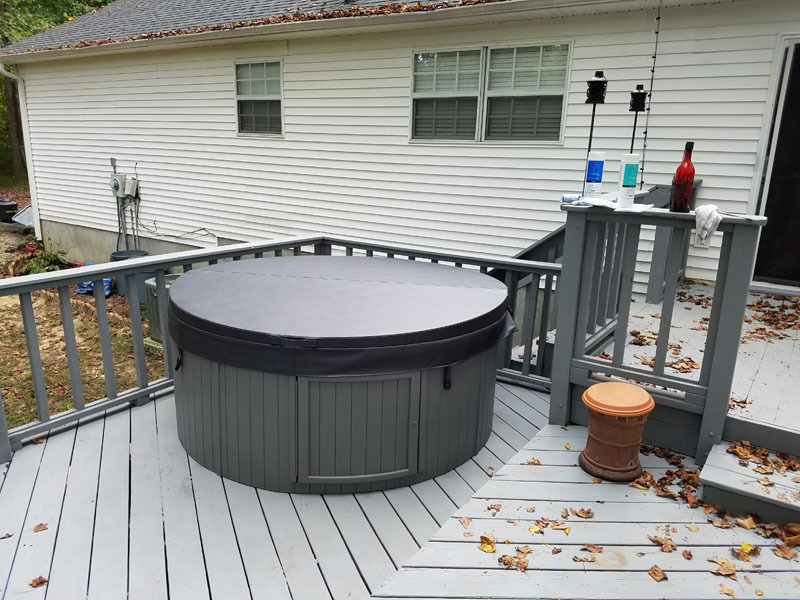 This beautiful unit seats 3 and has a rich Starry Night Shell with your choice of Maintenance Free Cabinet (Gray, Espresso or Black). 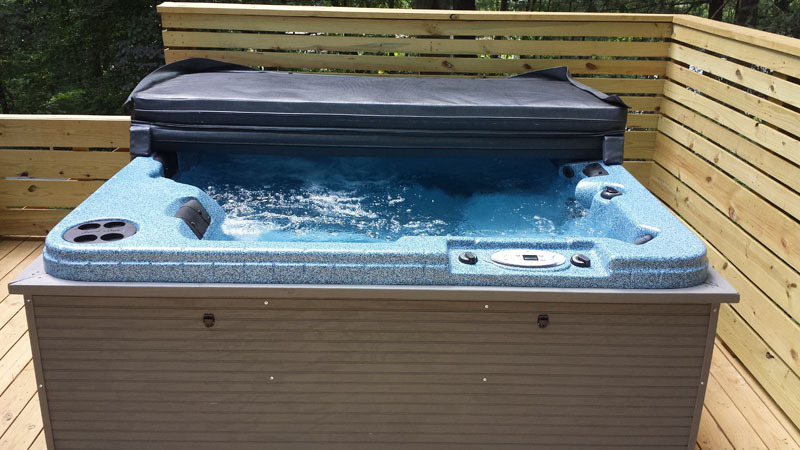 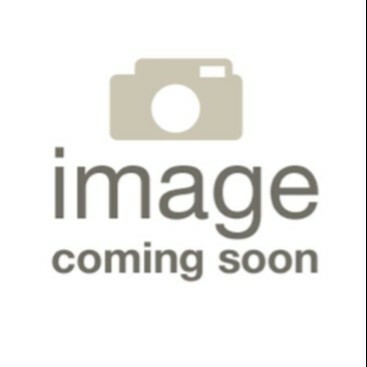 This Leisure Bay Teal Lounger is similar to the unit listed above, yet slightly larger. 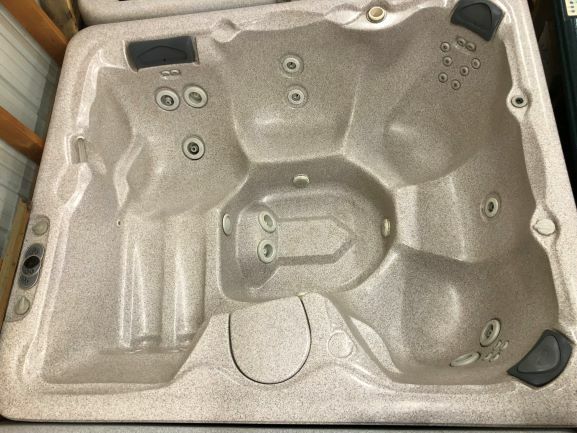 At 7.5' x 7.5' this hot tub seats 5 comfortably. 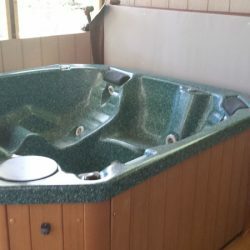 Emerald Spa with Lounger and 4 seats in Marble White with a Cedar cabine stained in Your Choice of Color. 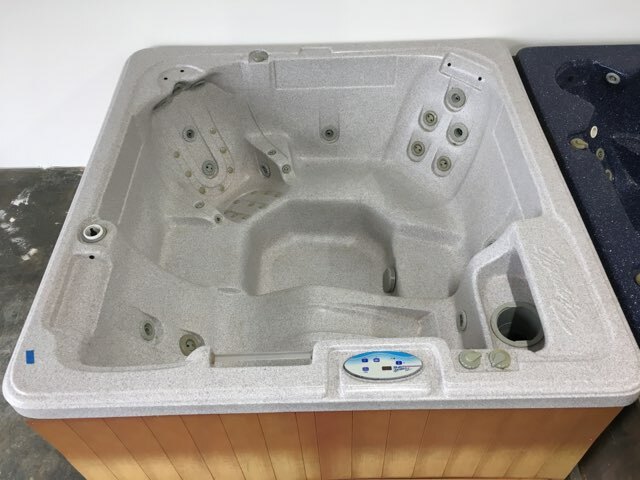 Dimensions: 73" x 84" x 32"
This Leisure Bay 3 Seater in Gray Granite has a small footprint and soothing hydrotherapy at a great price. 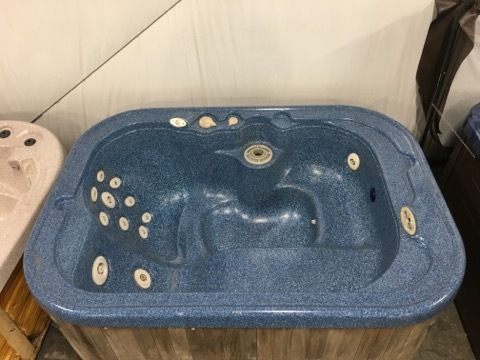 Dimensions: 58" x 77.5" x 30.25"
This Six Seater Image Spa with a Teal Shell and New Cabinet is sure to please. 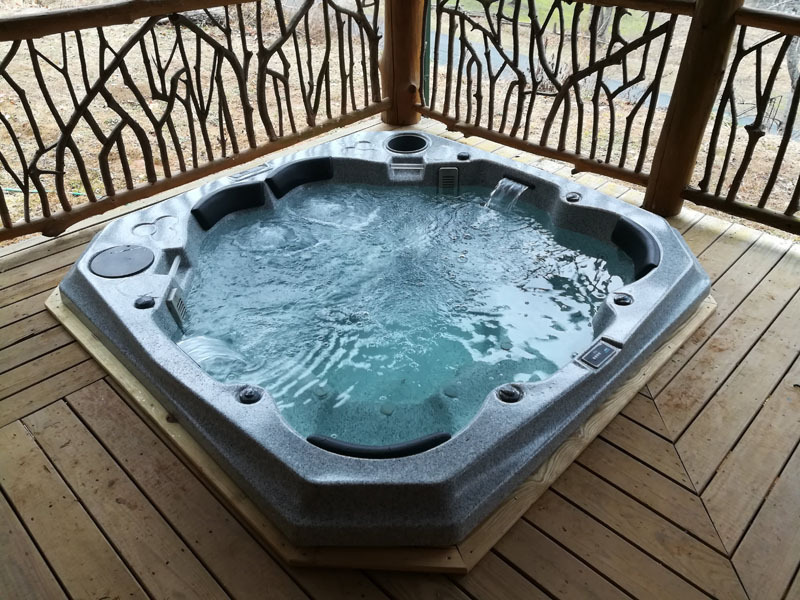 This Leisure Bay seats 5 and comes with a Soothing Waterfall. 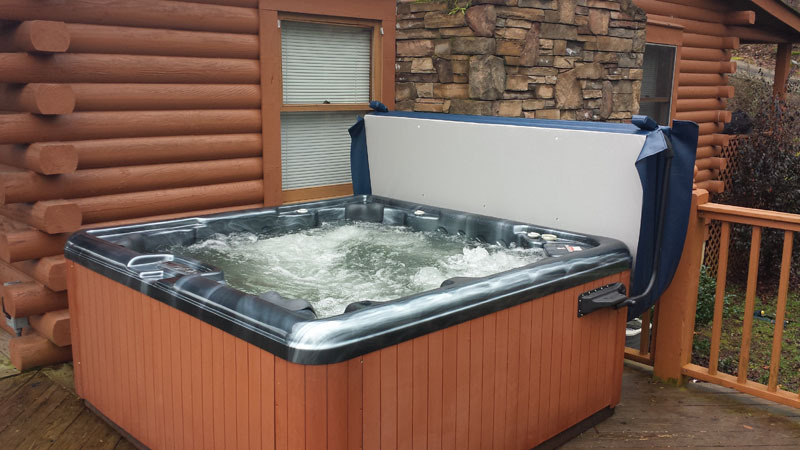 Dimensions: 90" x 76" x 34"
Take a Look at Some Of Our Completely Refurbished Used Hot Tubs! 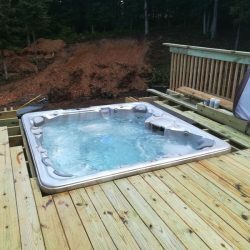 Where Do Our Used Hot Tubs Come From? 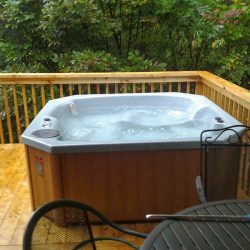 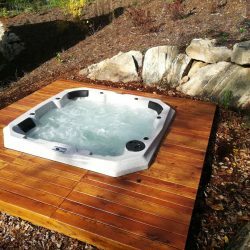 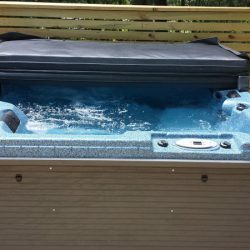 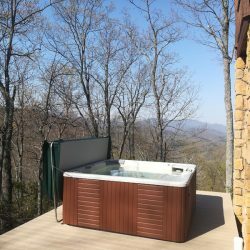 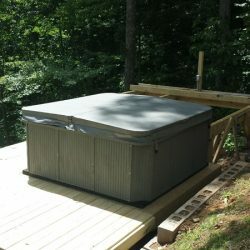 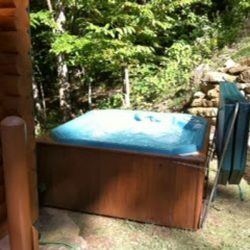 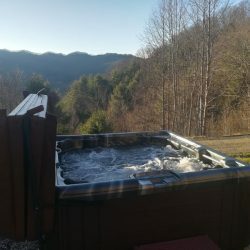 Previously enjoyed hot tubs come from our current customers who are trading in, consigning, or are unable to take the spa with them as they are relocating. 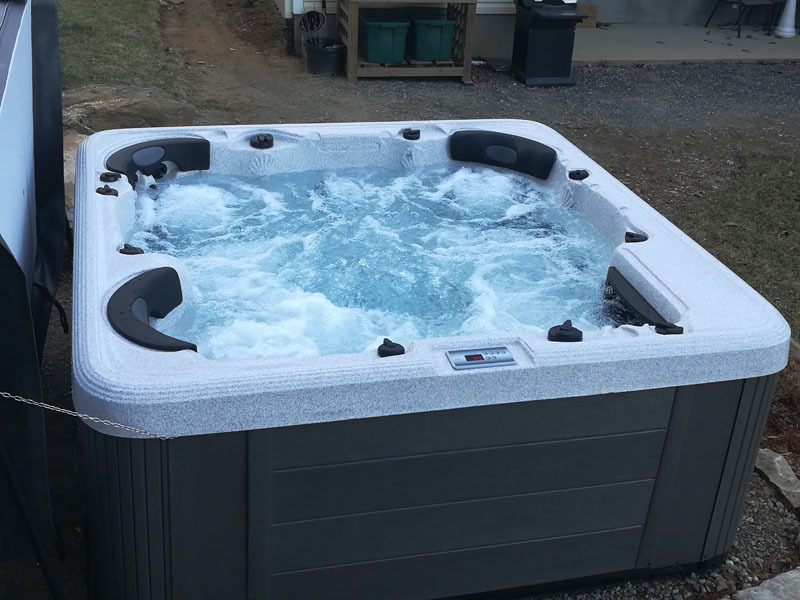 Not everyone needs a new hot tub, so we give new life to pre-owned hot tubs and save many of our customers a great deal of money! 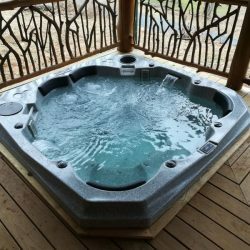 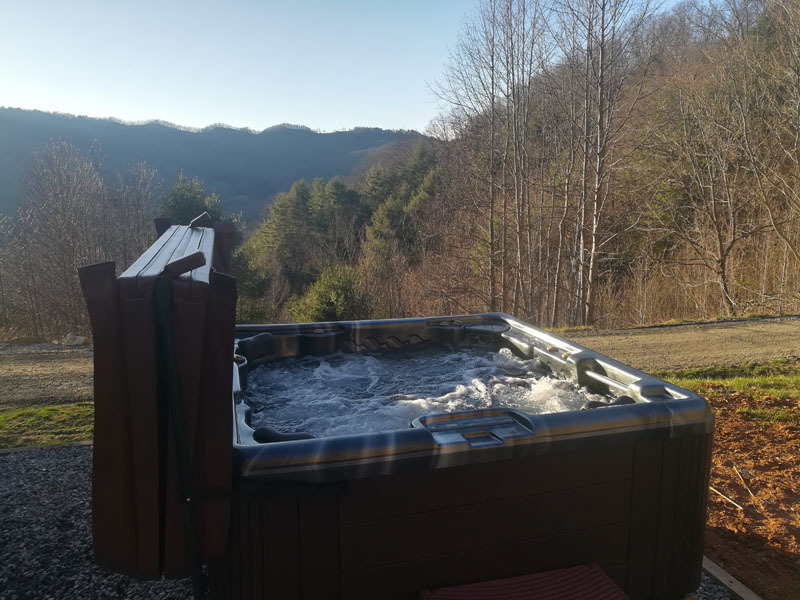 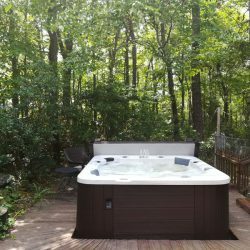 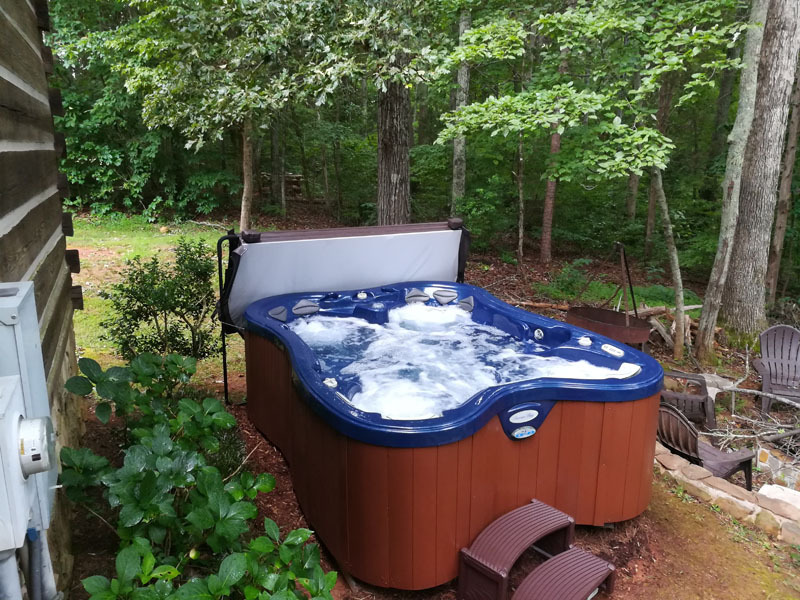 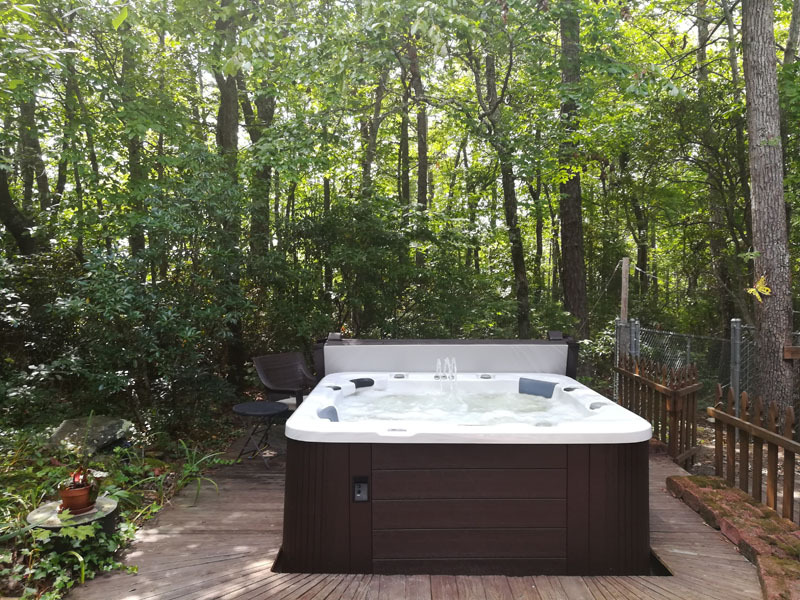 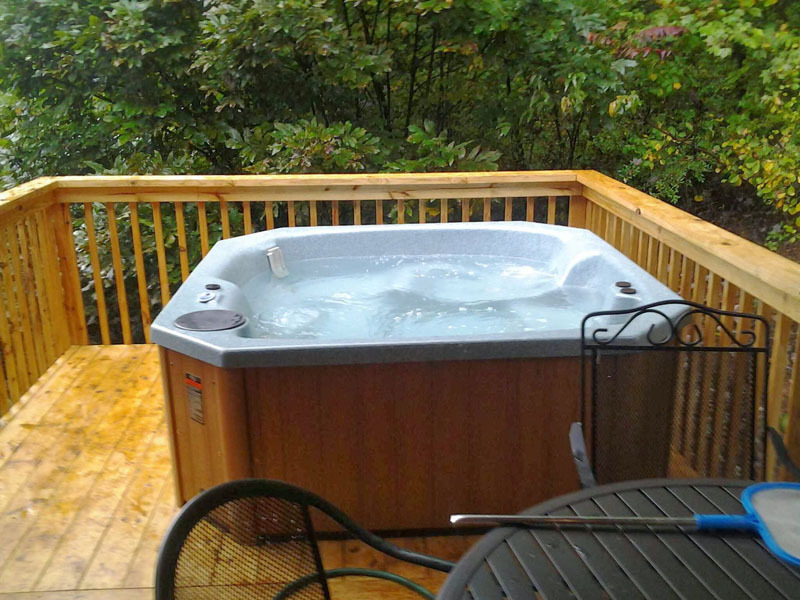 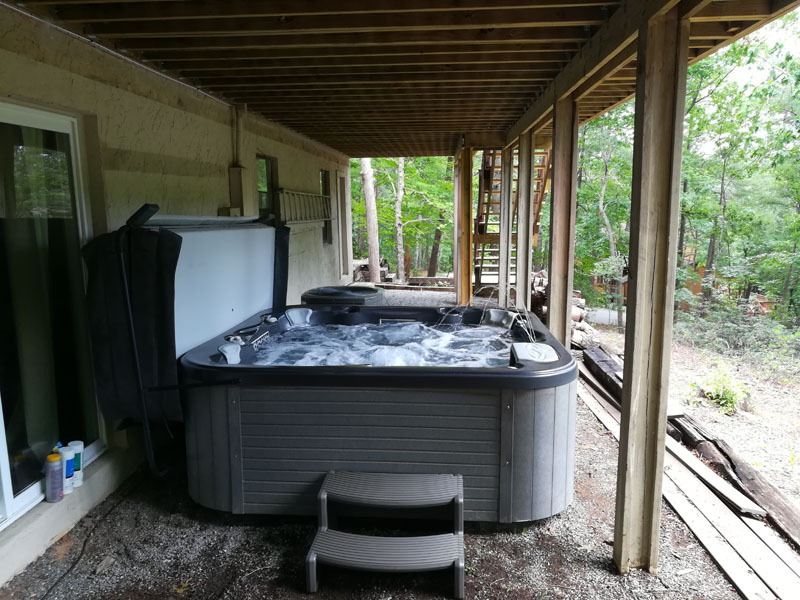 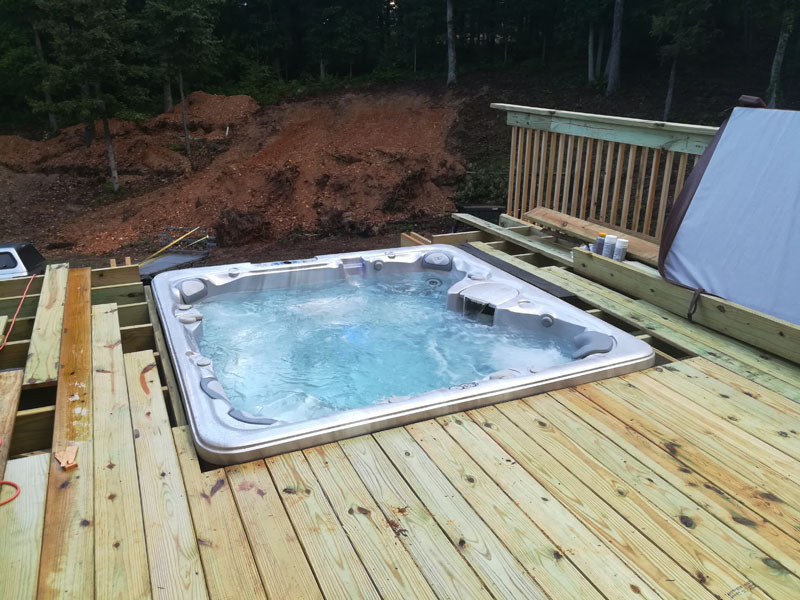 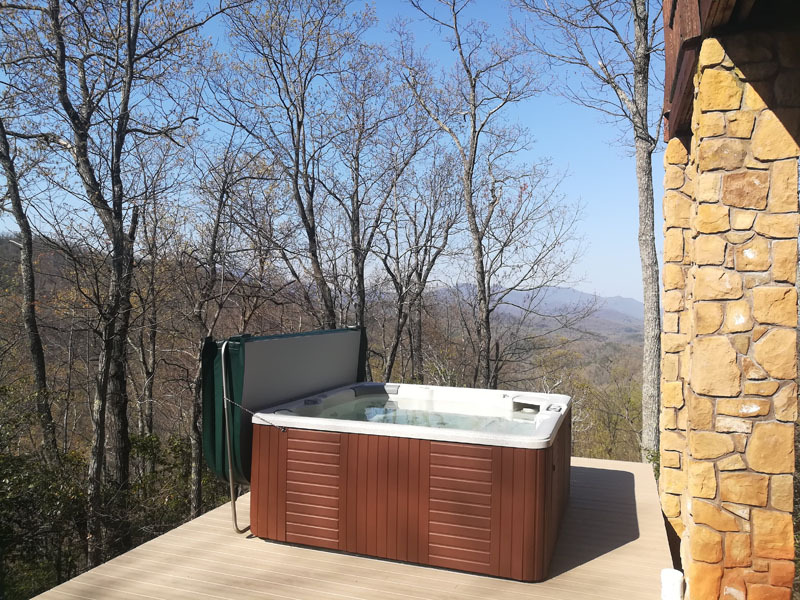 We initially inspect the used hot tub at our customer's site prior to removal and prepare a preliminary punch list of steps that will need to be done in order to refurbish and warranty the spa. 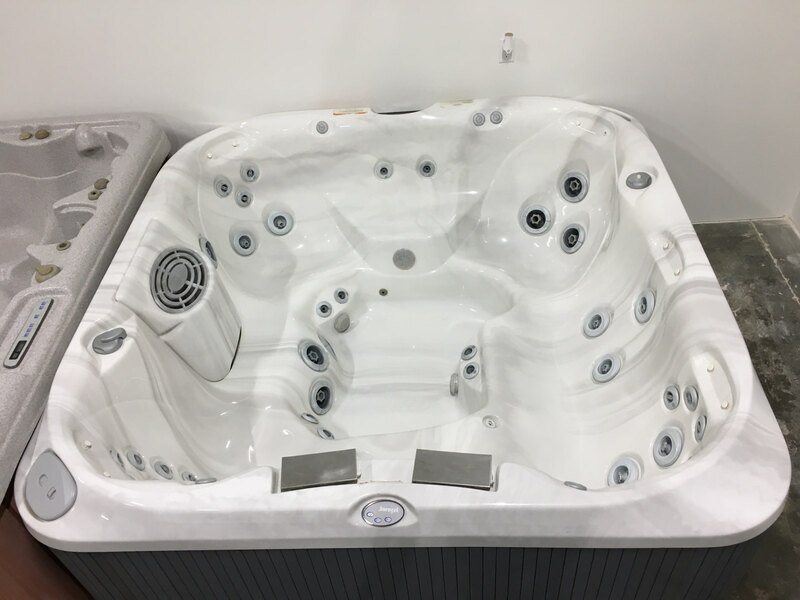 We bring the unit back to our shop to begin a thorough pressure test and in-depth inspection from all sides of the spa. 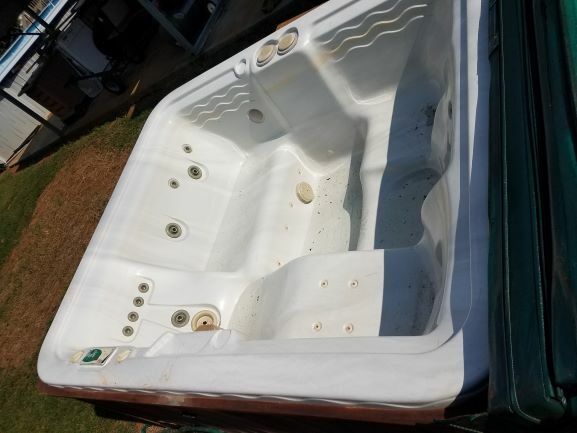 This done by multiple technicians in order to see everything and complete the fixes that it will need. 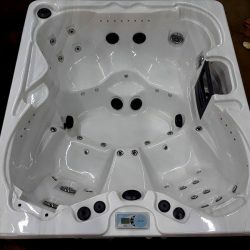 The refurbishment includes but is not limited to the following items: Pumps seals, capacitors, windings, starters, and wet-ends; the heaters element, canister and wiring; the motherboards processor, relays, capacitors, diodes, resistors, transformers, and wiring; the topside control panels processor; the plumbing for splits, bad glue joints, silicone joints; the jets assemblies for cracks, the jets to oscillate, turn, spin, and/or open and close; the air controls to open and close; the acrylic shell for cracks and chips, and the exterior paneling for breaks, nicks, sun fading, and weathering. 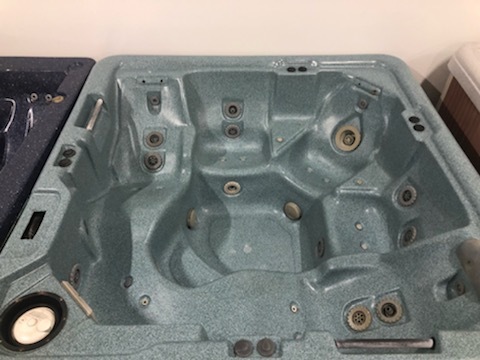 Upon completion of the mechanical refurbishment, we test the spa for 48-hours and send a “spa flush” through the lines to clean any bacteria out of the plumbing. 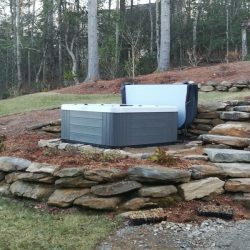 We ensure that all repairs done to the unit have been completed and that it is 100-percent sound and ready for installation. 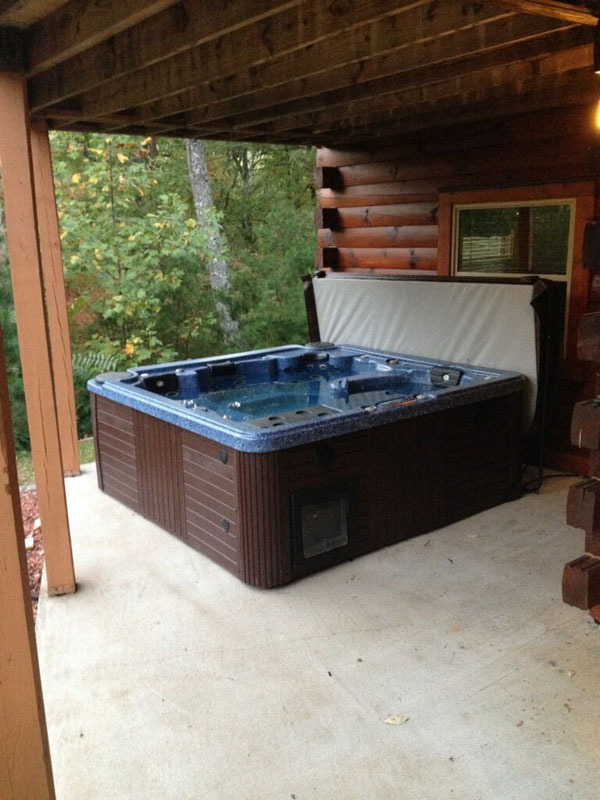 Finally, we beautify the spa by using shell cleaner to clean the acrylic. 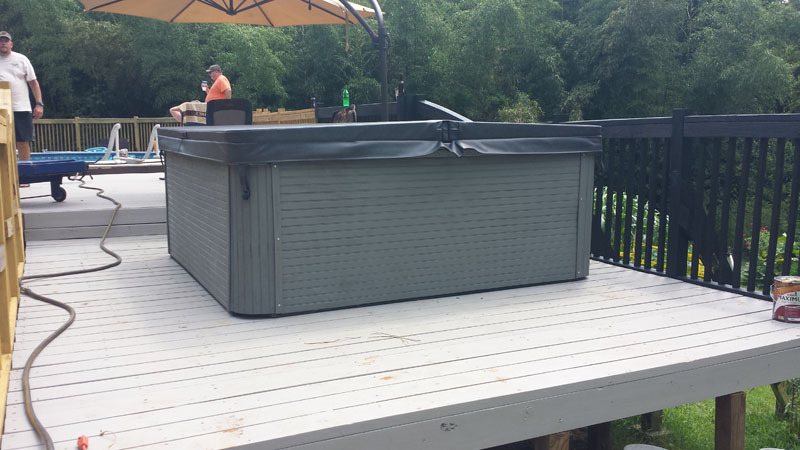 We then extensively clean the exterior paneling and stain the paneling in your choice of color. 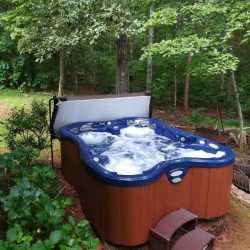 We top your pre-owned hot tub off with a custom-made hot tub spa cover in your choice of color. 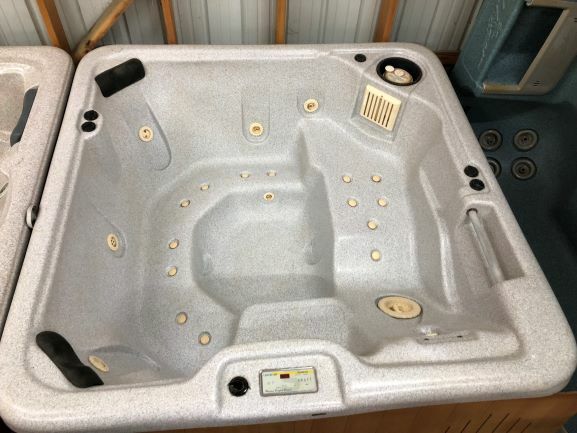 We are so assured of our pre-owned spas that we give them a 60-day Labor Warranty & 1 Year Equipment Warranty. 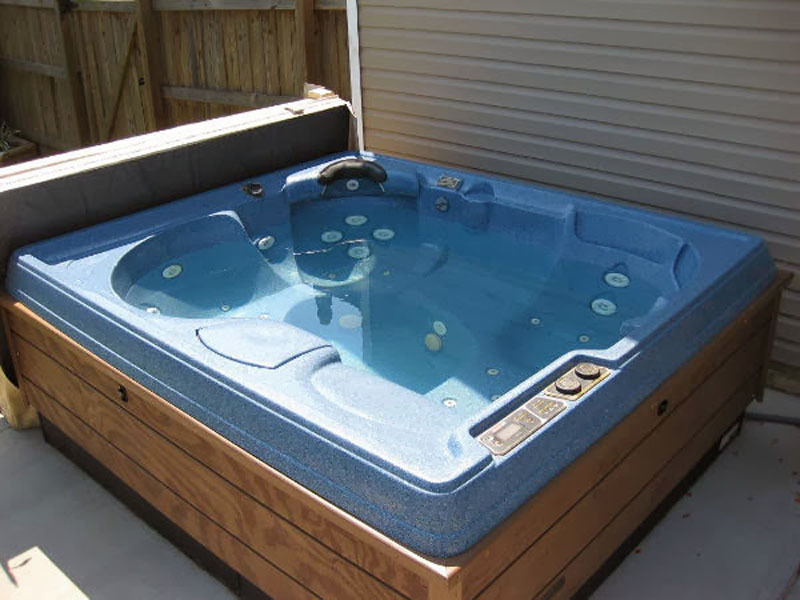 Delivery, installation, and spa maintenance and operation orientation is included.